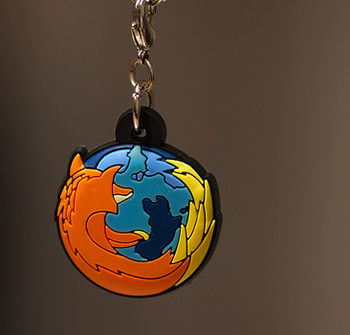 In an effort to maintain an unencumbered experience for users, the Mozilla Foundation is reconsidering its stance against supporting H.264 video. If the organization decides to relax its policy for using only open standards, we can expect to see H.264 support in Firefox's mobile variant. The H.264 standard is a proprietary video codec licensed by MPEG LA. Despite its proprietary nature, the organization has always allowed royalty-free use of its prolific video standard albeit with certain restrictions. Although controversy swirled around the future of the video compression standard in 2010, MPEG LA has promised to keep the codec free forever. Industry promises can be dangerous though. Such a "promise" is subject to change at any time. Even if H.264 remains royalty-free forever, the closed nature of the codec is also incompatible with the ideals of open-source, Internet-centric non-profits such as Mozilla. Without any official support for H.264, Mozilla and Chrome have been relying on Adobe Flash for playing back H.264 content. However, with Adobe dropping support for Flash on mobile devices, it would seem Mozilla has been forced to rethink their stance. The sunsetting of mobile Flash may explain why Firefox for mobile is being targeted specifically. Because of the sometimes ambiguous nature of software patents and the long, nuanced history of video encoding, some people believe that a completely free and open video codec with no strings attached is a total pipe dream. Even codecs created from scratch are bound to infringe upon a seemingly infinite mine field of software patents. Principled search giant, Google, sought to resolve this issue by buying On2, the company who created VP8 (or WebM). WebM was (and still is) intended to be an open, royalty-free video codec for the web. Google created a WebM patent pool and subsequently and threw its weight behind the open standard. The company then dropped support for H.264 in Chrome and paved the way for browsers like Firefox and Opera to play back patent-unencumbered video without the use of proprietary technologies like Flash.